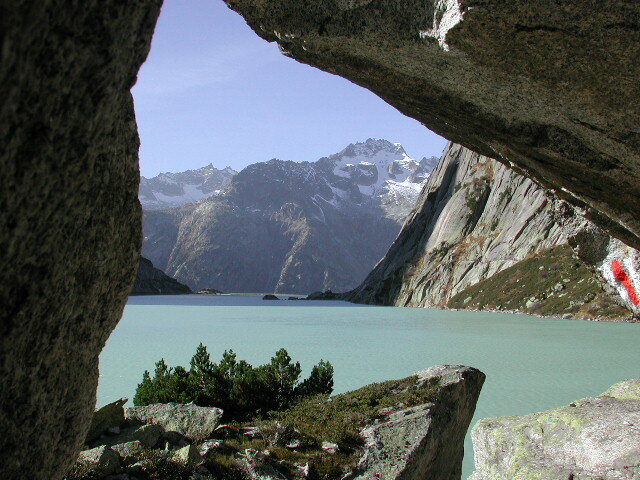 Near Meiringen, in the heart of the Swiss alps you'll find the most beautiful clear creeks and small rivers as well as nice alpine lakes near Meiringen. Due to a hard and long wintertime, fish grow up here slowly. But in the summertime, they rise eagerly all the day long to take the abundant beetle, grasshoppers and other land insects which land on the water surface. 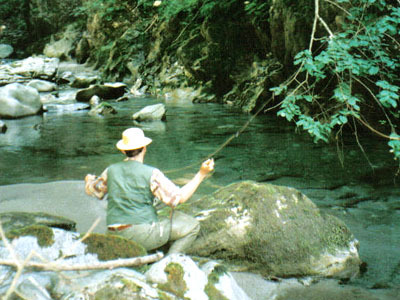 High casting skills are necesssary to fish the small pools in stronger currents. In the slower parts, fish are very shy and you have to approach the fish carefully. 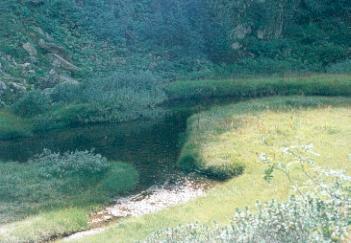 Nevertheless, we promise you will enjoy the flyfishing for these native and wild fish. 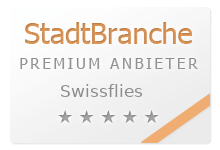 We recommend for the first time a professional Guiding by Swiss Bamboorods guiding services. They will show you how and where to fish and have access to some of the most beautiful waters. For your holidays in the region, we suggest the Reichenbach Lodge where you can get also the necessary fishing licences. 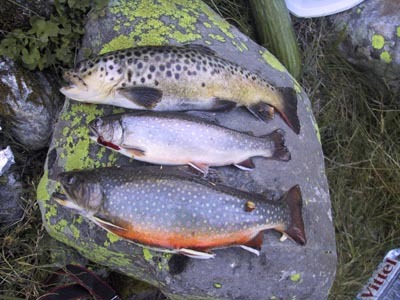 See the report (German) as published in "Der Fliegenfischer"
Contact us to know more and to fish with us for native trout or brook trout in the beautiful Bernese Oberland. 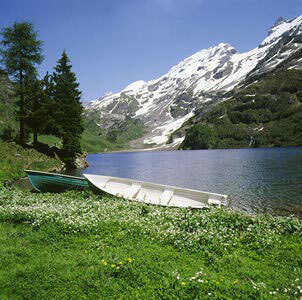 Fly fishing in Switzerland, alpine scenery, cristal clear water- and cowbells. What else do you need? We invite you to have also a look at beautiful Swiss Bamboo rods split cane rods.